Montana’s medical marijuana program has faced it all in its nearly 15 years of existence—two successful voter initiatives, rising and falling patient numbers, federal raids, legislation meant to render it unworkable and plenty of confusion. The state passed its first medical marijuana law in 2004, which was “a very thin statute,” according to Kate Cholewa, a lobbyist for the Montana Cannabis Industry Association (MTCIA). “It was really more designed to support that good-Samaritan model of medical-marijuana provision, where there’s a humble caregiver providing for a cancer patient,” she says. During that time, it was unclear if states could be involved in the regulatory process without violating federal laws, so the state legislature had little interest in fine-tuning the program, according to Chris Lindsey, senior legislative counsel with the Marijuana Policy Project (MPP), which helped pass the original initiative. 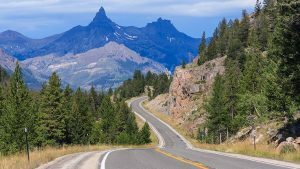 From 2004 to 2009, the program grew to support about 5,000 patients, but as political tides began to shift in 2009, the industry exploded in Montana. The 2009 Ogden Memo stated that the federal government would not interfere in states with regulated medical marijuana, which created a greater sense of safety for Montana’s cannabis businesses. Organized clinics began popping up in the state, and by the fall of 2011, the program had grown to roughly 30,000 patients and more than 4,000 providers, Cholewa says. Something had to give. While some thought only adequate regulation was needed, others decided the program should be repealed entirely. Meanwhile, the federal government came down on Montana in 2011 with raids. “Montana was hit very hard with federal raids, and then the legislature used the raids as rationale to pass legislation that was really to take down the program, without officially repealing it, in 2011,” Cholewa says. Patient numbers crashed, stabilizing around 12,000, Cholewa says. The MTCIA became a vehicle to file a lawsuit against the law, which led to the courts enjoining several provisions that were not able to go into effect. For the next five years, until 2016, MTCIA continued to support the lawsuit and ensure patients could continue to access their medication. In 2016, the Montana Supreme Court ruled in favor of the state, allowing the full law to take effect. MTCIA was prepared for this blow, and had launched efforts for a ballot initiative to essentially pass a medical marijuana law again. In November 2016, voters passed Montana’s second medical marijuana initiative to reboot the program. The law essentially removed some of the dysfunctional elements of the 2011 statute, Cholewa says, and added licensing and inspection requirements for businesses. Additional tracking and testing regulations were passed during the 2017 legislative session, and the plan was to conduct the first phase of inspections and licensing in the summer of 2017, then add tracking and testing requirements in the spring of 2018. This plan quickly deteriorated, Cholewa says. The state ultimately removed a regulator and appointed a new one, who then started work on implementing a tracking system before inspecting and licensing the state’s businesses, Cholewa says. Overall, though, Cholewa stands behind the state’s current medical marijuana law. And although some businesses have consolidated and others have scaled up to survive, others still have dropped out of the race entirely. The trouble with Montana’s regulatory landscape, Cholewa says, lies in not only a messy implementation process, but also trying to impose any regulated system on businesses that have been operating without regulations for nearly 15 years, since Montana’s first medical marijuana law passed in 2004. Montana once had more than 600 medical marijuana providers, but the count has dropped to 300 to 400 since the current law passed, she says. Businesses are required to be vertically integrated, and there is no licensing cap. However, when patients are approved for medical marijuana, they must register to purchase product from a single provider, Cholewa says. “They can change, but they can’t just go here and go there, looking for the right products,” she says. In addition, the number of patients a provider has dictates how much cannabis they can produce. “It treats people like commodities in a very bad way, and it makes people compete to own customers,” Cholewa says. MTCIA attempted to separate licensing from patient numbers in 2017, instead opting for licensing based on cultivation area, but the state agency did not implement this change into the final law that passed. And although Montana’s medical cannabis industry continues to struggle with implementation, Cholewa says the program has come a long way. The businesses that have bested the hurdles thrown their way for the past 15 years have built quality operations that could generate investor and acquisition interest from other states, once the regulations are ironed out, Cholewa adds. Montana can also be a lesson in the importance of creating industry standards, Cholewa adds.